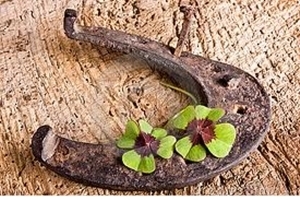 FAST LUCK SPELLCASTING Fast Luck Spell : Choose this spell to bring fast luck - luck in a hurry ! This spell is an all purpose , everyday luck formula that is very well known and popular in Hoodoo magick . Choose this spell for faster luck in all games of chance and for any situation when you need things decided in your favour, right away. General fast luck, everyday luck in a hurry, this spell will change a bad situation into a good one , with faster results ! Best used as an add on to another spell, to hasten effects. ABOUT ME Hello and welcome to my shop. My name is Victoria Zasikowski and I am a Tarot reader, Astrologer and Hoodoo rootworker. I used to work on the "other" big auction site, where I gathered over 4,000 positive feedback in my time there. There is a link to my feedback page within my Bonanza profile ,if you would like to check it out. With so many magick spells and spell casters online to choose from, it can be difficult knowing who to choose and who is bonafide. I differ from 99% of other spellcasters online as I provide actual photos of your casting to prove they have been done. This gives you the security of knowing I am genuine, plus a little insight into how I do things MY METHOD I work with Hoodoo supplies which I myself make by hand ( I will gradually be adding my full range to my shop here). In Hoodoo, spellcasting is a bit different to other systems, in that typically your casting would consist solely of a "candle service", whereby a candle is customized for your intentions,placed on an altar and lit for a certain amount of days. While a variation on this method is indeed included, I have also developed my own unique twist on things to empower the magick further . For your spell casting, I use a cauldron to burn my specially created "spellvelopes". These are small envelopes whose colour depends on the nature of your spell, and which are filled with the appropriate Hoodoo roots, herbs, minerals , etc, relevant to your chosen spell. On the front of the spellvelope, your name and the spell name is written, so you know it is for you. I prepare the area, light the candle, then proceed to burn your spellvelope. At various times while the candle is lit and the spellvelope is burning, I recite out loud the magickal request and any particular ritual words or chant which may apply PHOTOGRAPHS YOU WILL RECEIVE 1. A photo of the ready-mixed contents of the spell envelope inside of the envelope, with your name on it. 2. A photo of your spell envelope being placed in the cauldron while it starts to burn, with your name visible on it Where more than one spell has been ordered, you will see all the spells in the photos. For larger spells like the 2 week service, 30 days spells and black magick, you will receive a number of photos but I don't send 30 individual photos of the 30 individual casts as it gets a bit ridiculous trying to attach 30 photos to an email ! I randomly select castings to photograph and you will receive those, alongside a couple of pictures of the spell/s being prepared. SINGLE, DOUBLE OR TRIPLE CAST PLUS MIXED CASTINGS The price of the listing reflects ONE start to finish casting. I can do a double or triple cast spell to enhance the magick even more. You will need to purchase the spell twice or three times in that case, and they will be perfomed on the same day. If you want more than one type of spell, eg two different love spells, these will be performed one after the other on the same day. Some situations may require magick to be worked on from more than one angle if the situation is quite complex. Please get in touch for advice about this if you are unsure what to choose. INFORMATION REQUIRED Your full name and date of birth plus your email address The name and date of birth of anyone else relevant to your spell A brief outline of your situation, if relevant You can email me a photo if you have one - a clear head shot is best. Typically, I arrange to conduct a spell 1-3 days after your order comes in. After your order, I will email over my spell guidelines which explains everthing relevant and answers common questions. You can also check out my websites for detailed FAQ : www.tarotmagick.co.uk and www.theenchantedland.com PLEASE NOTE THAT NO DECENT SPELLCASTER WILL EVER GUARANTEE A SPELL WILL WORK. If it were that simple, we spell casters would all be filthy rich ! YES, there is a very high effectiveness rate for properly-performed magick, but sometimes things don't quite work out. This could be for the following reasons : 1. A single casting was not suffice, as the situation was too complex or deep rooted 2. Spell castings alone were not enough - the situation might benefit from you yourself working with a range of physical products to pour your own energy into things 3. You have an excessive amount of negative energy about it all, or about it's chances of working, which poison's the magick 4. You are being unrealistic, for example trying to win an ex back after 3 years of being without him 5. It might not have been "meant to be". The universe has other plans for you. I DO MY UTMOST BEST TO ACHIEVE GREAT RESULTS FOR YOU. PLEASE BEAR MY TIME AND EFFORTS IN MIND BEFORE LEAVING ANY FEEDBACK.